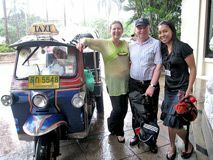 "My fami ly and I have had guided tours in more than 30 countries on four continents, and no where have we ever encountered such a knowledgable and entertaining guide as Teya. Her warmth and smile instantly welcomes you to Thailand, and her love for her country is infectious. I was extremely impressed by her wealth of knowledge in Thai history, religion, geography, customs, traditions, and modern Thai society, and I found her tours to be very interesting and enriching. No matter where you visit, you are sure to appreciate the beauty and significance of everything you see with Teya. Her candid, sincere, and pleasant personality made my family's stay in Thailand very enjoyable. We hope to return soon!" 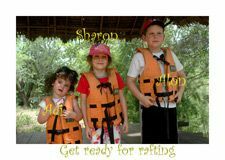 We (2+3 kids (17/14/10)) did a day trip, in Bangkok, with Tan and love it very much. Tan is great with kids and made the trip appealing to all family members. Tan is referring to all the Thai live aspects and gives you knowledge on it. One of the best guide we had. We highly recommend on her. 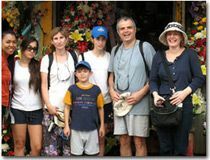 “We came to Thailand as part of an Insurance Convention in July 2007, after travelling all over the world with my company, you get accustomed to many tour guides just doing their jobs without enthusiam. This is not the case with Tan who made the journey of touring so interesting and fun by doing her job from the heart. From the very first time you meet her you could tell that she is someone special. In my line of work people always do business with you because you bring something different. Tan does this to you and it is very easy for you to become friends with her, as you can gather from all the people who keep in touch with her after they have left. The first person I will always look for anytime I am in Thailand again is Tan, besides being fun and funny, she is also very intelligent and energetic. To our surprise she has a hidden talent as she sang beautifully for us on the last day of our convention on the way to the airport. Thank you Tan for an unforgetable time in your wonderful Country. You have made new friends in this part of the world. We hope one day we would be able to play host to you in our country. We wish you long life and great success." "We were so fortunate to have found Tan in Bangkok. She was our guide for 4 wonderful days. We used many of her suggested itineraries, which coincided with many of the highlighted sites we wanted to see. The floating market was such a wonderful experience outside of Bangkok. Tan had a driver pick us up at our hotel in an air-conditioned car ,which was comfortable and relaxing. We stopped at salt field, went to a local marketplace, saw a teak wood carving studio and experienced the floating market. The Royal Barge Museum is another wonderful site as is the Royal Palace. She took us to small areas of Bangkok like the flower market, helped guide us to a custom clothier and had great ideas about shopping and food. I'm sure there is lots more to see and do, we can't wait for our next visit. She is a GEM and a wealth of knowledge. Enjoy and give her our best. If we can answer any questions feel free to contact us." Now that we are back in Israel I wanted to thank you for the wonderfully trip we took together two weeks ago, You were very professional in planning the trip to adjust the needs of a family with 3 younger children to the area of kanchanaburi, and provided us with the must comfortable air-conditioned minivan and a lovely driver. We very much enjoyed all the useful and educational information you gave us ( what is the color of Monday....). On behalf of the entire family I would like to thank you and hope to see you soon again. As it is New year in Israel I would also like to wish you a happy new year. Continue in your wonderful work. and yet keep all of us enthused. Arrangements were made through email before our trip although we retained the flexibility to alter plans as desired. It is much better to liase with someone that is not pushy selling tours as many guides will do on arrival. Planning in advance is also a significant advantage. travellers. I certainly intend returning to Thailand and will get Tan organise everything for me. Thank you for helping to make a wonderful holiday full of happy memories." Thank you so much for what turned out to be a true highlight to our journey throughout your beautiful country. 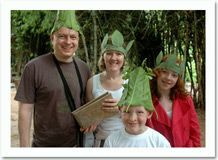 We so loved the extra details and fun facts you wove into all the stories about the culture and history of your people. After leaving we went on to visit several other cities, sightseeing on our own and at every Bangkok turn we wondered what we were really missing, knowing how much extra you provided us during our visits to the Grand Palace, Wat Pho and such. We have never been the type of travelers to hire private guides, previously preferring to always head out on our own and explore, but our experience with you changed that for sure! Your humor, the passion you have for your country, your fabulous English skills along with your fun, easy personality made you a pure pleasure to meet. We felt fortunate to have discovered you. Best of luck in your adventures ahead and many thanks for the lifelong memories you provided us." I met Teya during the trip and thanks to her that I know lot more about Thailand and the culture here other than what I saw first night in Bangkok. If you happen to be in BKK, i highly recommend her services that weill teach you lot more than what your eyes alone can see around. It's a city that can grow on you as long as you stay away from crooks on the streets. So, if you want peace of mind and see all the beautiful place around and the best corners to take pictures, use her services. "It is impossible to say anything, not already said, Tan is just a true joy, full of knowlegde, perfect English and with so much love for her country. It was the perfect start to our 3 month travels round Thailand, and she gave us so many tips and tricks, making our start a lot easier, and in the months after she was of great help with recommendations and other stuff. We could not have had a better guide. Highly recommended, very pleasant and very informative." "We just loved our time with Tan! At the end of 2 days we felt like we were saying good bye to a good friend. She is very knowledgeable about Thai history and great at answering our endless questions about the sites and about Thai daily life. She speaks/ writes excellent English and it was very easy to plan a custom tour with her via email. We read our guidebooks and told her what we wanted to see, and she figured out all the logistics for us. What a relief! We hardly ever get guides when traveling to a place like Europe, but Bangkok is a different story. Unless you have lots of time to figure out the streets and public transport. I'd say make life easy and go for a guide. Tan will make your visit effortless and her will be one of the highlights of your trip"
"My trip to Thailand came as an unexpected surprise and so did Tan. 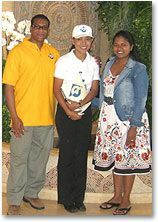 We were part of a conference and at that time Tan was with a tour company. She was amazing and we knew she was special from the first few minutes on the tour bus. If you are lucky enough to visit this magical country with its beautiful and happy people your trip can only be enhanced with the knowledge she has of her country, customs, sites to visit, and her pure enjoyment of we the tourists. She is delightful and we can't wait to return to Thailand with an itinerary that she will hopefully help plan for us. We trust her implicitly and include her in our family of friends. Thank you Tan for the wonderful experience of seeing a small part of your country through your eyes." "I had the pleasure of having Tan as our guide in Bangkok. I absolutely loved her she was informative and fun . We had a great day with her . Highly recommend using her as a guide. happy travels"
Our trip was wonderful in every way and one which we will always remember. Now when someone says that they have been halfway around the world and back, it will havea whole new meaning! Thank you sooooo much, Tan, for making Thailand real for us, for sharing your thoughts and hopes and for being so very nice. You are truly a beautiful person both inside and out. Without your help, the country would have had none of the flavor and energy that it now has for us. You are truly a gifted person!!! We wish you every blessing in life. May the best be always ahead for you. If you are ever able to visit our end of the world, remember to come visit. We have just returned from a great South East Asia trip begining with Bangkok. We took 2 half day trips with Tan, as she is greatly recommended on Trip Advisor. First day we did a tour of Grand Palace, Emerald Buddha and Chao Praya river. 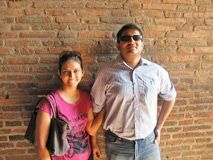 On day 2 we did Ayuthaya trip. Both days, Tan was punctual and picked us from the hotel. She comes across as a very friendly and lively person - and so in love with her country and culture. discussing travel, politics, cultural diversity and movies in Thailand and India. a group, couple or with children. She has such a variety of experiences to share - the talking just doesn't end !!! did. We loved Thailand but it was made so much better by having Tan with us. Everything you read here from others who have used Tan is true ; she was delightful to be with - kind , caring and humourous - and of course very knowledgable about her country, its history and the sites we wanted to see. I can only echo the other compliments paid by others who have retained her services. 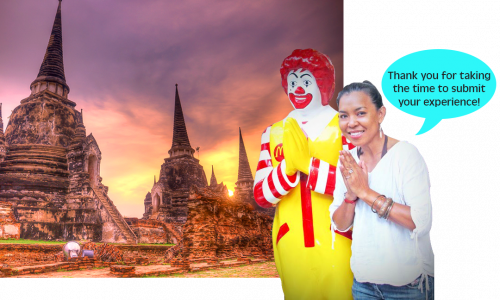 I believe that what distinguishes Tan from other tour guides is her conversational ability, outgoing personality, spontaneity and genuine desire to share her love of Thailand, it's King and the Thai people. I particularly valued Tan's unique insights into Thai culture which I credit to her former occupation as a journalist. If you are a serious travel photographer, you are in good company as Tan is an avid photographer herself. As such, she appreciates the logistical difficulties of taking good photos in a foreign locale. She was able to assist in many ways such as pointing out good vantage points (that she had previously scouted) and instructing the long boat driver to slow down so I could get the proper shots of life on the Chao Praya river free of any camera shake. I would recommend Tan to any of my colleagues who intend to visit Thailand, particularly photographers. What you see is what you get with Tan. She was consistently on time for our tours, honest and sincere in seeking to ensure that I had an enjoyable time. Tan represents excellent value for money - I plan to be a repeat customer for my future trips to Thailand. Thank you for providing us with such a wonderful insight into your city of Bangkok. What you showed us was just what we wanted to see,the tour round Chinatown on Chinese new year was an experience we will never forget. Thank you again Bangkok was a great way to start our round the world trip, and your knowledge and humour added to the experience. I'm very grateful to you for taking us around Bangkok. You were an excellent guide and I'll never forget the stories and experiences that you told. "My family and I went to the fantastic country of Thailand on holiday, having arranged with Tan to guide us for 2 days whilst we stayed in Bangkok. We arranged for Tan to guide us on 2 full day tours - one in Bangkok and the other outside of Bangkok. The content of the tours were fantastic, very well arranged and with Tan's fluency in English were very interesting and informative. Tan is a very engaging person with a bright and cheerful personality. 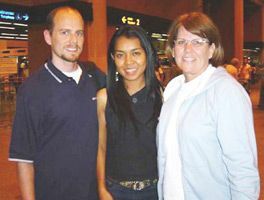 Our two young children loved her, and missed her very much when we eventually moved location from Bangkok to Krabi. As mentioned in commentaries on this page, her love of her country and her King is obvious for all to see. Her knowledge of Thai customs and culture is excellent. In summary, we all had a fantastic holiday and would thoroughly recommend Tan. We made a good friend in Thailand and miss the sunshine that she added to our holiday." “Thank you for a wonderful two days that was very special and interesting. We were happy that it worked out and you were our guide. We learn a lot from you about Thailand, its history and about the Thai people. It was touching to see how proud you are with your country and its legacy. You were more than a tourist guide for us. 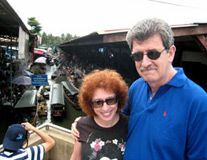 "My wife and myself had been recommended to book Tan as a guide to Bangkok by a friend. We booked her for a half day, and asked her to show us the Flower and Vegetable market and the Grand Palace and Emerald Buddha temple.We found Tan to be an excellent guide, with very good conversational English, who gave a great insight into Thailand, it’s people and it’s customs. She also explained the love the people have for their King. We travelled by taxi, boat and tuk-tuk with her. We would recommend her as a guide to any visitor." Now, that we're back home, we'd like to thank you for the wonderful enjoyable and interesting time we have spent together. You showed us much of the cuture, history and beauty of Bangkok and did your best to make our trip perfect. 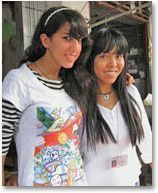 We really hope to meet you again,either in Thiland, or in our country, Israel." 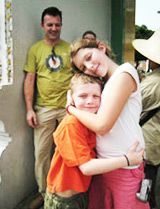 "Several years ago my son and I took an impromptu trip to Thailand. We were so lucky that Tan was one of the professional guides on our river cruise. We were fortunate enough to book her for most of our remaining days. One day the tour I had pre-booked to The River Kwai, forgot to pick us up. I called Tan and she had a private driver in a brand new air conditioned car pick us up and the four of us did our own tour. It was more enjoyable than a group tour and didn't even cost as much. She helped us discover the land which she loves so dearly. She not only showed us the beautiful land and treasurers of Thailand, through Tan we discovered the people and culture of Thailand. Thank you Tan, a tour guide and a friend." Thank you for your precious testimonial.